In Dow Jones news today, the Dow hit another record high as markets cheered statements by President Donald Trump on his plans to reform corporate taxes. President Trump vowed to announce a "phenomenal" tax plan, which he will unveil in the weeks ahead. The statement reignited the post-election rally that had fizzled in recent trading sessions. Today's large rally was also accelerated by a jump in global oil prices. Global energy cartel OPEC announced that it is well ahead of its plans to reduce excessive crude production and showed evidence that it is well on its way to meeting its goals in the year ahead. The Dow Jones added another 96 points and rallied again on President Trump's core economic agenda. Many investors had begun to worry that the administration would not proceed with tax reform until 2018 due to the ongoing battles on Capitol Hill. Over the weekend, investors should pay attention to U.S. Federal Reserve Vice Chair Stanley Fischer, who will give a speech at the Warwick Economics Summit in the United Kingdom. Given Europe's ongoing economic struggles, it will be interesting to parse through Fischer's statements about the divergence in monetary policy between the United States and the European Central Bank. Crude oil prices were pushing higher on word that OPEC reached 90% of its goal to slash excessive crude production. The International Energy Agency said that OPEC's success is far better than the initial 60% compliance during its 2009 deal. But the pop in crude prices today was actually limited due to increased U.S. crude production. According to Baker Hughes Inc. (NYSE: BHI), U.S. drillers added another eight oil platforms to the national count. With 591 rigs now in operation, the United States has the highest number of oil platforms since October 2015. The WTI crude oil price today up 1.5%. Brent crude added 1.8%. But the big news was the resignation of Federal Reserve board member Daniel Tarullo. Tarullo has led efforts to reform the way that the Fed oversaw financial institutions. According to a short resignation letter, Tarullo will step down "on or around April 5, 2017." This is five years ahead of the expiration of his term. This is an important moment for the future of the Federal Reserve. Tarullo's resignation will leave three vacancies at the Federal Reserve. The most important role, which Trump is expected to fill in the weeks ahead, is the vacant position of Federal Reserve vice chairman in charge of bank oversight. Today's biggest winner was Sears Holding Corp. (Nasdaq: SHLD). Shares surged more than 25% after the company announced plans to cut pension obligations and corporate debt by at least $1.5 billion per year. Despite the surprise pop, investors should avoid this struggling retailer. The ongoing shift from brick-and-mortar shopping to e-commerce has pummeled Sears over the last decade. The company does not appear to have a strategy to reduce exposure to this ongoing trend. It was another busy day of earnings reports. Highlights included a huge jump in shares of Skechers USA Inc. (NYSE: SKX). The shoemaker's stock jumped more than 19% Friday after the firm easily topped fourth-quarter revenue expectations. Shares of Activision Blizzard Inc. (Nasdaq: ATVI) surged more than 18% after the gaming software provider announced a $1 billion stock buyback program. The firm also topped Wall Street earnings expectations. In deal news, Reckitt Benckiser Group Plc. (LON: RB) announced it has completed its $16.6 billion deal to purchase infant formula manufacturer Mead Johnson Nutrition Co. (NYSE: MJN). 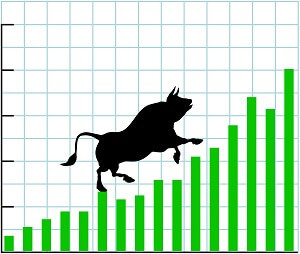 Shares of MJN stock added more than 5% on the news. The total value of the deal, including debt, is roughly $17.9 billion. After the bell, look for an additional earnings report from Knoll Inc. (NYSE: KNL). Finally, if you're a fan of the movie "Rocky," there is a stock you need to know about right now. This U.S. manufacturer has been dragged down and beaten up time and time again. But every time it falls, it gets right back up and provides a powerful punch for investors' portfolios. And if you employ one strategy, this could be the ultimate retirement stock to own. Here's the "comeback" story of 2017 and one of the best stocks to own today.